In today’s society, we take for granted the vast amount of smart technology that surrounds us, and over the years the decline in ‘offline’ communication, for example phone calls, suggests the direction that our future is heading. So what insights can business learn from this to ensure customers receive the best experience with changing expectations, and understand what the future holds for contact centres? How do customers choose to interact with companies? 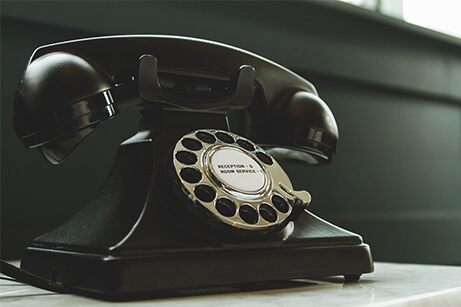 We’re seeing a definite decline in the standard ways of interacting with companies, with the phone and IVR dropping dramatically, alongside email, face to face and the use of website. Apps appear to be the way forward. However, with more and more consumers being goal directed, and those goals being positive, negative or neutral – customers are looking for a quick and easy way to communicate. Customers in crisis will generally pick up the phone and in such situations can’t handle a long winded IVR or a long list of FAQs. High customer effort leads to high customer disloyalty. So, how do you push people to the right channel? The phone remains a key part of the digital strategy and is the escalation channel for all age ranges. In fact, 84% have called a contact centre within the past 6 months and 47% use video to resolve problems with products & services. At the end of the day, customers want to be treated as human beings, with a swift resolution to their needs. Personal, proactive and predictive messaging in the age of GDPR, they’ll share their data with you, if you give them something meaningful, but can we anticipate a customer’s needs before they need them? Andrew focused on the customer experience framework and how companies should be encouraging active listeners and become a business that is focused on you. So are we asking the right questions? What you are trying to achieve? How can our solutions help you? We need to care for our customers and prevent them from having an issue that could cause irritation. Steve offered some insights based on 15 years of research and over 4000 surveys with UK Contact Centres. For example, the speed for someone to answer was 41 seconds in 2018, compared to 17 seconds in 2003. What’s slowing us down? The average length of a service call has increased from 3 mins 55 secs to 5 mins and 12 secs – an increase of 33%, probably due to the complexity of the calls being answered. However, first contact resolution has barely changed since 2003 – 77% vs 74% and self-service has made queries simpler. Social media is fine for simple things, but this is not the best way to interact with our customers. The phone remains the best way to interact. · 66% have phone interactions directly with drivers who deliver online purchases to home or work. · 66% of customers find dealing with customer service issues exhausting. · 79% are more loyal to organisations that are easy & simple to contact. · 21% currently use a company’s smart phone app to get in contact. Despite the huge hype, social media hasn’t taken off the way that we thought it would – It has its place, but it’s not for everything. “Conversocial” spoke about the shift from public social media to private social media and messaging. Investment in CRM & Agent desktop remains one of the top 5 investments until 2020, with speech analytics showing a growing interest. With AI being mentioned everywhere, a really key message is that AI will not replace agents, it will be used to augment them. Chatbots will improve self-service success rates – but it’s still very early days for AI, especially for customer acceptance. AI is here for the long term, it’s not here today and gone tomorrow, so we’ll be seeing a lot more of it. How do you get to a place where the interaction with a brand is simple? SLAs are becoming XLAs (Experience Level Agreement). SLAs have traditionally been focused on service, but XLAs are focused on the customer. XLAs don’t need to be complicated and customer experience can help communicate and demonstrate value to the business. The CX market is growing to a $100 billion market. However, our perception of customer experience is going down, as there just isn’t enough thinking about the customer or the bigger picture. Gerry gave us fascinating insights into the CX role models, naming and shaming the CX villains, taken from the which report. Ultimately customer experience belongs in your company culture, with many company’s having a head of customer experience sitting within HR. You need to start with the customer and work back to digital – simplify and standardise was a repetitive message, alongside providing individual, personalised experiences. 1. AI for personalisation, consent and conversations. 2. Big Data Analytics for customer intelligence. 5. Engage employees, happy employees = happy customers. 7. Get the whole organisation behind CX change management. There’s lots of talk around multi-channel and Omni-channel – multiple channels of choice – but who’s choice is it! Who does the channel really benefit? The customer must always be at the forefront of our minds. 41% of British consumers will stop spending with a brand forever, compared to just 21% of the US, following a data breach. · UK consumers trust local stores more than a national company. · Over ½ the UK and US consumers feel troubled when reading their credit card details over the phone. · 44% of Americans are reportedly victims of security breaches, compared to 38% in the UK. · 1 in 5 Brits hang up if you ask them to provide their credit card details over the phone. · 6/10 UK consumers want companies to undergo regular security audits. · Consumers expect companies to use technology to improve their security. Ultimately, I believe there will always be a place for a contact centre, we’ll always need some form of assistance and some way of contacting the organisation providing the service. As time moves on, this will hopefully become easier and less frustrating and there is certainly already technology in place to assist in making the customer journey easy and painless. At the end of the day the future of the contact centre is in the hands of the customer! To explore more about the future of the contact centre or to speak to Natterbox, why not Register Free here for Customer Contact X 2019?